Discover how to increase your visibility on search engines, generate more traffic to your website and boost sales! You have a website. Now what? Most business owners launch then leave it. Unlike Field of Dreams, ‘if you build it’ does NOT guarantee they will come. It takes a sound and methodical approach to build a strategic website marketing program. The BannerMethod provides expert advice in building that program. 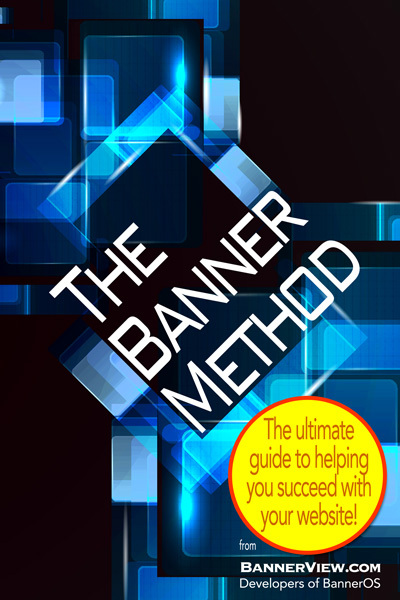 The BannerMethod is the ultimate guide to helping you succeed with your website! It provides an easy to understand methodical approach to marketing your business online. The BannerMethod is a 32 page PDF document so it can be easily accessed across both desktop and mobile devices. A link to download will be sent immediately after purchase. Are you ready to begin building a strong online presence for your business or organization? If you are, purchase The BannerMethod, the most easy-to-follow plan for strategic online marketing implementation. The BannerMethod is perfect for those with a website.